Looking for a Drug Rehab or Alcohol Treatment Facility in Oklahoma? Drug Rehab in Oklahoma offers the opportunity to regain control over your life. There are a number of excellent programs throughout the state that provide a wide range of rehabilitation services such as detoxification, residential care and individual counseling. Whether you choose inpatient or outpatient drug rehab in Oklahoma, beginning your recovery program as soon as possible improves your prospects of getting off drugs or alcohol and remaining healthy. 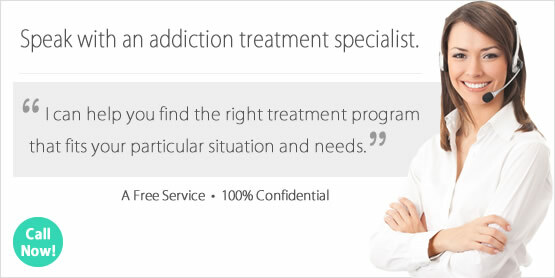 For many, the process of choosing which drug rehab will meet your requirements can be overwhelming. However, by researching potential drug rehabs in Oklahoma and looking into their ratings and reviews you will be one step ahead when speaking with treatment professionals. With our help, the process of determining the right program and receiving answers to questions about various programs is no longer an overwhelming task. The 2013 Oklahoma State Profile from the National Survey of Substance Abuse Treatment Services (N-SSATS) collects data on several topics relevant to treatment of alcohol and drug abuse in the state. In the agency's most recent survey conducted on March 29, 2013 there were 223 substance abuse treatment facilities operating in Oklahoma, with approximately 16,700 clients enrolled at that time. Of these 223 facilities, 191 were considered outpatient treatment, 50 were considered residential or inpatient treatment and 9 were considered hospital inpatient treatment. In early December 2015 the White House Office of National Drug Control Policy held a community forum in Oklahoma to address the state's opioid epidemic. This event included evidence-based initiatives focused on preventing and treating prescription drug abuse as well as heroin use. A future forum on this topic will be held in Connecticut and other states throughout 2016. Attendees can expect to hear more information about public health, public safety and those who have directly been affected by the opioid epidemic afflicting the country. Alcohol treatment in Oklahoma helps the addict address the physical and emotional nature of their alcohol addiction. While in treatment, the program participant may require detox and/or medication to help with withdrawal symptoms and cravings. Following detox, the client will be ready to participate in the rehabilitation process. They will uncover and work through the issues that drove them to abuse alcohol while developing new ways to handle stressful situations. Treatment for alcohol addiction can take place in a number of different rehab settings such as inpatient treatment our outpatient programs. Additionally, the length of time the person is in treatment is dependent on the program they enroll in. Some short-term programs last less than 30 days while others go on for 90 days or longer. During 2014, the Treatment Episode Data Set reported 2,145 individuals (15.5% of all Oklahoma rehab enrollments) cited alcohol as their primary substance of abuse. During this same year, the study found 2,225 individuals (16.1%) cited alcohol with a secondary drug as their reason for enrolling in treatment in Oklahoma. Considering inpatient vs outpatient treatment in Oklahoma? These two different styles of drug rehab offer clients diverse rehabilitation environments, lengths of treatment and types of recovery methods. While many people are quick to explore outpatient rehab thinking it will be more convenient and less expensive, statistics reveal inpatient treatment in 48 day, 60 day or 90 day programs are much more likely to help their graduates achieve lasting sobriety. Inpatient treatment in Oklahoma provides clients with around-the-clock care. Program participants move into the rehab program during their recovery process and live among other like-minded individuals working towards a similar goal of sobriety. While enrolled in the inpatient program, the person can expect to live by a structured day to day routine in a substance-free environment. Personal obligations are often put on the back burner during this rehab process; unless they are matters that must be handled in a timely fashion, such as legal issues. Outpatient treatment in Oklahoma is very different from inpatient rehab because the client continues to live at home during treatment. They do not need to upend their personal life to enroll in outpatient treatment. And, they are able to maintain most aspects of their daily life, such as work and school. This treatment option is often desirable because they are usually less expensive, do not require the commitment of inpatient treatment and allow the individual to maintain a number of important aspects of their day to day life that inpatient treatment doesn't. A study conducted by the Health Economics Resource Center published in 2008 examined the cost and outcomes of inpatient vs outpatient treatment for substance use. This study surmised that while the overall cost for outpatient treatment is substantially less, the inpatient setting provided considerably better outcomes for graduates. In the end, the study noted that while inpatient treatment offers better outcomes, the field of drug and alcohol rehabilitation has made a noticeable shift. Today, more and more clients are choosing outpatient rehab programs instead of inpatient drug rehabs. It is thought this shift is due to the lower cost of outpatient care. What Does Inpatient Rehab in Oklahoma Involve? Oklahoma inpatient treatment involves designating a period of time to focus on overcoming addiction. As an intensive form of treatment, inpatient rehab provides the client with room and board while they are in recovery. Some programs are very strict and do not allow their program participants to leave the facility during their time in treatment. On the other hand, there are those that allow their program participants to come and go from the program after they have reached a certain point in their recovery process. Choosing to attend an inpatient treatment program is a chance for the recovering addict to experience living their life clean and sober before returning to the their life back home. This type of treatment fluctuates in length depending on if the program is short-term or long-term. On average, short term inpatient treatment usually lasts a month or less, while long term inpatient treatment might last several months. There are 50 inpatient drug rehab programs in Oklahoma (2013 N-SSATS report). Many of these facilities offer more than one type of inpatient treatment length. There were 18 short-term inpatient programs in Oklahoma during 2013, 40 long term options and 13 inpatient facilities that offered detoxification services. When you or your loved one is ready to enroll in an inpatient treatment program in Oklahoma, our rehabilitation advisors are ready to answer any questions and help with the process. What Does Outpatient Rehab in Oklahoma Involve? The decision to get help is an important first step. For some, the idea of leaving home to move into an inpatient program is overwhelming. Or perhaps there are personal obligations that must be kept, even though addiction treatment is necessary. Outpatient treatment in Oklahoma involves attending the program on specified days and times, but still having the flexibility to live at home and keep a job. This type of program is ideal for individuals who have a supportive and substance-free home life and require the help and guidance of treatment professionals to put their alcohol or drug use behind them. Outpatient treatment in Oklahoma offers the program participant the chance to live in the real world while working on their recovery. Statistics from the March 29, 2013 N-SSATS survey indicates there were 191 outpatient treatment programs in Oklahoma. Many of outpatient treatment programs offer more than one type of outpatient service. Of the 191 outpatient treatment centers in Oklahoma, 189 provided regular outpatient care, 79 delivered intensive outpatient care, 10 offered day treatment/partial hospitalization, 12 provided detoxification, and 13 delivered methadone/buprenorphine or Vivitrol maintenance. Lasting sobriety is possible with the help of an Oklahoma outpatient treatment program. If you would like to discuss outpatient treatment options in Oklahoma our addiction specialists are available to answer your questions.